Do you have a kid that eats, sleeps, and breathes sports? He/She can’t wait to try out, to watch, and to play just for fun? My youngest son has always been a sports fan playing baseball, soccer, football, and shooting hoops with his friends. Reading on the other hand is not one of his favorite past times. So to help get him in the “reading” mood we ordered Sports Illustrated for Kids this way he can put his enjoyment of sports and reading together to make it a little more bearable. It’s the perfect stocking stuffer. It promotes reading for children who are reluctant readers. Each issue is full of exciting stories, photos and games that are a perfect distraction while traveling. No gift wrapping – it’s delivered straight to your door. It’s the gift that keeps on giving the whole year through. 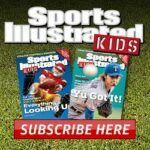 SPORTS ILLUSTRATED Kids is THE magazine for boys and girls who love sports. 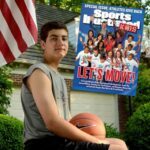 It presents sports the way kids want to read about them: with great action photos, easy-to-read stories about star athletes, helpful instructional tips from the pros, and humor, comics, and activities. SI Kids is a great way to encourage kids to read, and it has won highest honors from the Association of Educational Publishers and the Parents’ Choice Award. 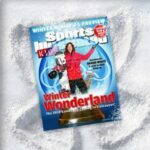 Disclaimer: Our blog is participating in a sponsored blog ambassador program from Sport Illustrated Kids. As a part of this program we have received paid compensation, a year subscription and merchandise for placement of digital advertisements and specific postings related to SI Kids.. All opinions are my own. You may read more of my disclosure here. Do You Use An E-Reader? Such a fun magazine for young sport fans! My little cousin hates reading too…this is a great idea for a holiday gift! SI is such a great magazine, makes a perfect gift for the sports lover. Looks like a great gift choice! My husband and I were talking about getting my nephews a subscription for Christmas. I have a nephew that would love this! Both my oldest son and daughter would love this magazine to read. Great idea, thanks for sharing! My daughter loves reading about athletes and collecting the cards that come in SI Kids, although she doesn’t love watching sports as much as I do. I never thought about it, but this would make a great gift for our son who loves sports! My son loves this magazine! This would be a good Christmas gift idea to give to my nephew for Christmas! He loves sports and reading, and this would help him keep up to date on what is happening. Nice idea! This is a must-have for kids who love sports! I remember when “Sports Illustrated” used to have their annual subscription commercials where you would get a freebie for signing up, like a football-shaped phone. I even have a few of them still on tape!